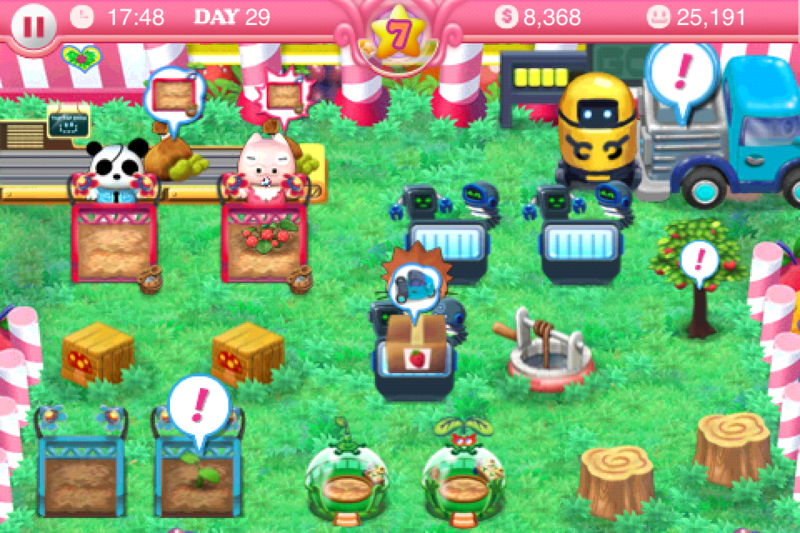 Home Feed Offer Extended: Play Pretty Pet Tycoon and get 500 Pet Points FREE! 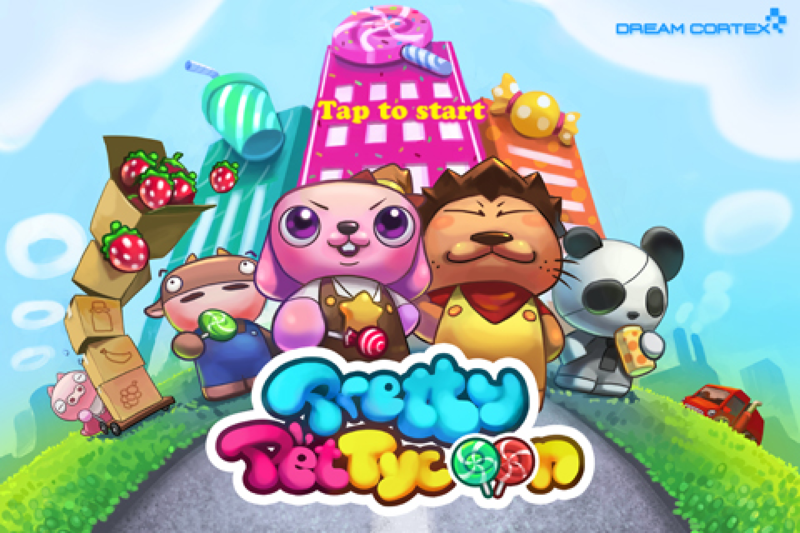 Update: To thank our fans for the amazing support, we’re extending the offer to get 500 free Pet Points with purchases of Pretty Pet Tycoon until April 17, 2011! Read on to find out more! 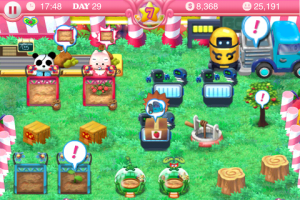 Do you like Pretty Pet Salon and Pretty Pet Salon Seasons? 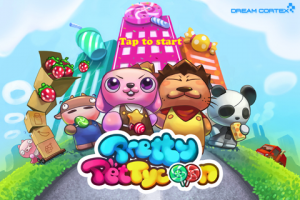 Now there’s a brand new pet adventure waiting for you: Pretty Pet Tycoon! 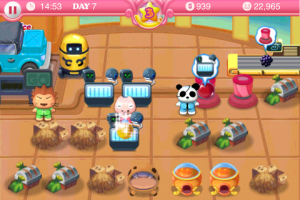 This charming new strategy game allows you to run your very own farm devoted to producing fruit! 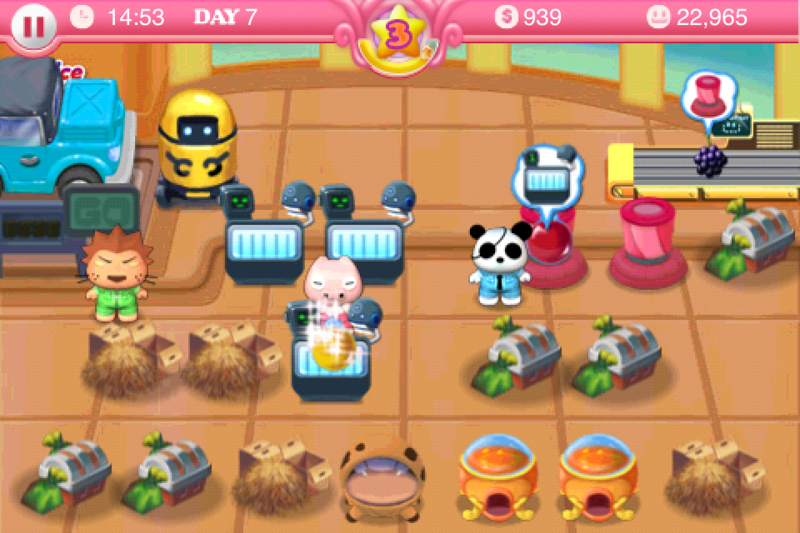 In Pretty Pet Tycoon you must produce and package fruit then ship it to market to build up your fruity empire! 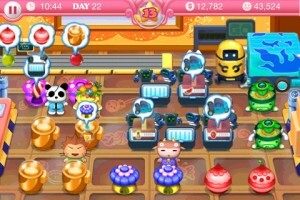 If you do well you will have the chance to expand your business and profits with a Juice Bar and even a Candy Factory! Are you up to the challenge? For this week only, we’re offering you 500 free Pet Points when you buy Pretty Pet Tycoon from either Pretty Pet Salon or Pretty Pet Salon Seasons! 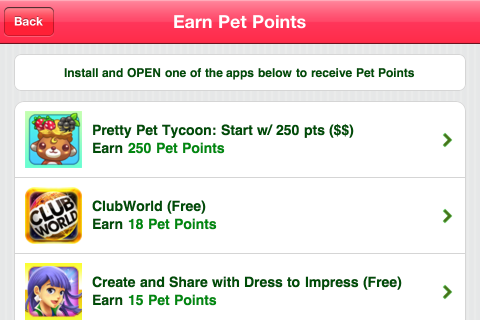 You will get 250 points to spend in Pretty Pet Tycoon, which is the lowest possible cost for Pet Points! Additionally, you will also get 250 Pet Points for either Pretty Pet Salon or Pretty Pet Salon Seasons! Interested? Read on to learn how to get your points! 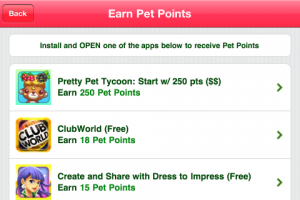 In Pretty Pet Salon OR Pretty Pet Salon Seasons, tap the “Earn Free Points” button and find Pretty Pet Tycoon in the list of offers. 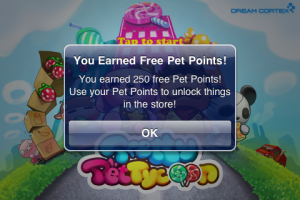 Tap on the offer to purchase the game, complete the transaction, and receive 250 Pet Points for your current game plus 250 Pet Points more for Pretty Pet Tycoon. That’s a total of 500 free Pet Points! Take advantage of this amazing offer from now until April 17, 2011! This deal gives you a great start in two fantastic games, so don’t miss this opportunity!